For David Gravell, the night is calling. And boy does he give it an answer. Busting out one solid production after another, the global crowds have embraced his unique sound. No longer will his tracks be the long-kept ID’s in the sets of W&W and Armin van Buuren — from now on dance-land knows exactly how to recognize a Gravell tune when they hear one. And the good thing is, there are plenty more where that came from. 2014 is the year of David Gravell. Driven by relentless energy and an openness to different styles, it didn’t take long before the Amsterdam-based studio wizard David Gravell was discovered by Mainstage Music superstars W&W. As it turned out, 2013 was David’s year of big opportunities and big risks. After delivering his track ‘Fire Away’ to W&W’s Mainstage Vol.1, David made sure it was quickly succeeded with a solo release: the club-destroying ‘Bulldozer’. Heavily supported by the industry’s elite (even rocking Armin van Buuren’s Essential Mix on BBC1 radio), the tune opened many exciting new doors for the young talent. 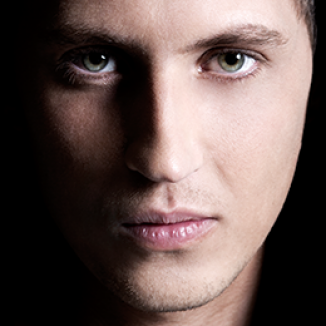 With a keen ear for fusion and big-room skills up his sleeve, David Gravell is the must-watch name for 2014. The scene began to take notice of David’s energetic ways with electro, trance and house, and remix duties came flooding in from names like Audien, Andy Moor, Bobina and Andain. His bangers ‘Megatron’ and ‘Nighthawk’ found the early support of Armin van Buuren, Hardwell, W&W, Deniz Koyu, Andrew Rayel, and Porter Robinson. Mark Sixma & Jerome Isma-Ae – ‘Refused’ (David Gravell Remix) performed well in the charts, and was tune of the week in ASOT 649. ‘Melbourne’ followed — a huge progressive tune on Captivating sounds. He reached Tune of the Week yet again in episode 661 with ‘Timebomb’, solidifying his place in the Armada roster. With a list of gigs that includes playing the massive A State of Trance 650 event in Utrecht, it’s safe to say we’re dealing with the future here.